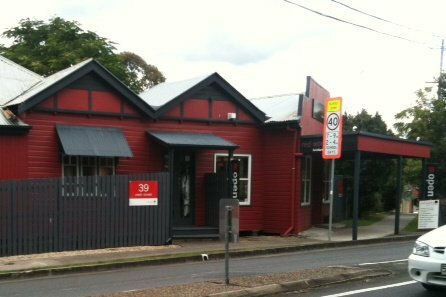 To be quite honest I am a bit of snob when it comes to shopping at op-shops or second hand clothing stores. My family are always trying to sell me the idea about how great it is but whenever I try to sort through the op-shops the clothes seem to be a bit old school for me and I come home with nothing having just wasted my time and feeling frustrated. Luckily I gave it one more try because I managed to get some real bargains at the fill a bag sale for only $5 at Yesterday's Thrift Shop . On the last Sunday of every month, Yesterday's Thrift Shop open their doors to pass on the donations they receive to benefit the local community. I am so glad I didn't give up. 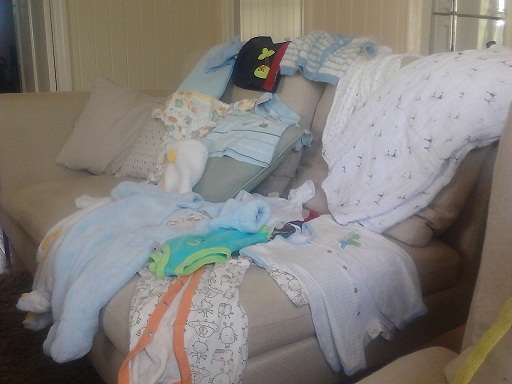 I was quite surprised to find some amazing clothes and presents for my nephew. Check out the clothes and blankets in the photo below, between mum and I we managed to get two blankets, several outfits including a swimming top and winter clothes all for one little boy. The bargains Mum and I got for my nephew. 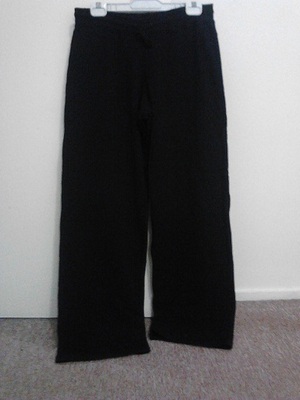 I also managed to score a brand new pair of exercise pants that still had the tag on, 2 jumpers, a pair of pants, a scarf, a top and 2 hats. What a score, brand new excercise pants with the tag still on. 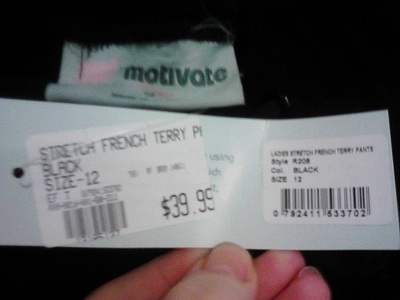 Brand new excercise pants with the tag still on. On sunny days Yesterday's Thrift Shop has an outside section where you will be greeted by the friendly staff and you can sort through the clothes until your heart's content. 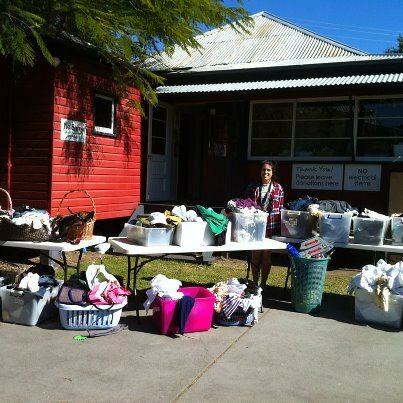 They also have a room inside the shop that you can fill your bag to the brim for only $5, most op-shops these days are making so much money on the clothes that are donated by the public and fair enough they do a lot for the community with the proceeds but if you can't afford to spend a lot on clothes I suggest you come and check out the bargains at Yesterday's Thrift Shop, you won't be disappointed. Yesterday's Thrift Shop friendly staff and great location. If you would like to donate to Yesterday's Thrift Shop located at 39 Nash Street, Paddington QLD you can do so by dropping in clothes, toys or books to their premises or contact the shop to have a chat about the items you would like to donate by phoning (07) 3876 6550. Yesterday's Thrift Shop is opened from Monday-Saturday 9.00am – 4.30pm and Sunday 10.00am – 4.00pm. Yesterday's Thrift Shop 39 Street, Paddington. Yesterday's Thrift Shop supports The Developing Foundation who works with families caring for a child or adult with brain injury or developmental disability. They believe that the potentially adverse outcomes of brain injury and developmental delays can be minimised or decreased through education, intervention and development. For more information about The Developing Foundation, you can check out their website by clicking here. If you would like to volunteer or learn more about Yesterday's Thrift Shop and events, you can connect with them via their Facebook page by clicking here, don't forget it's the last Sunday of every month that you can enjoy filling a bag full of clothes, shoes, hand-bags, kids' toys or hats for only $5 as the old saying goes another man's trash is another man's treasure. When: Open everyday - fill a bag for $5 on the last Sunday of every month.